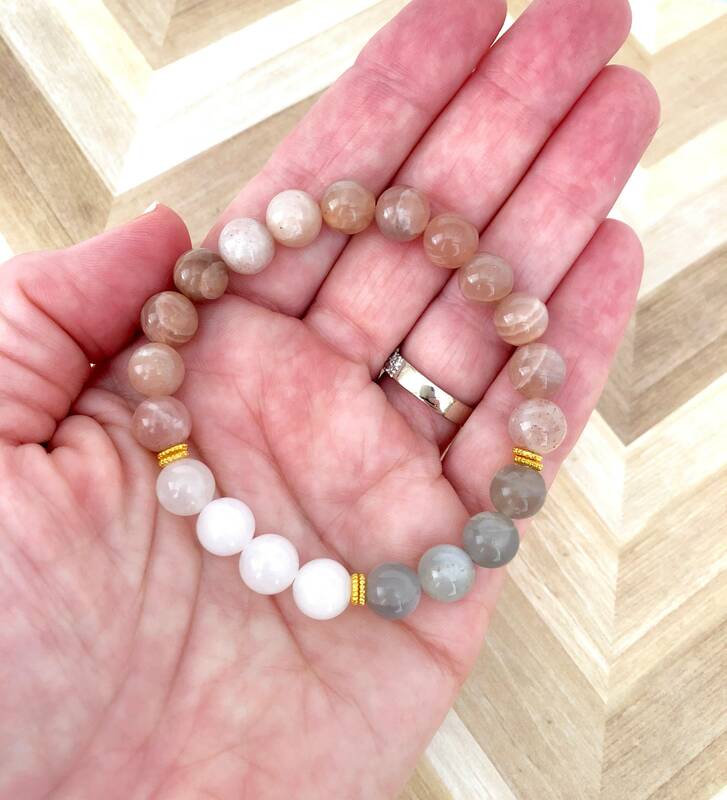 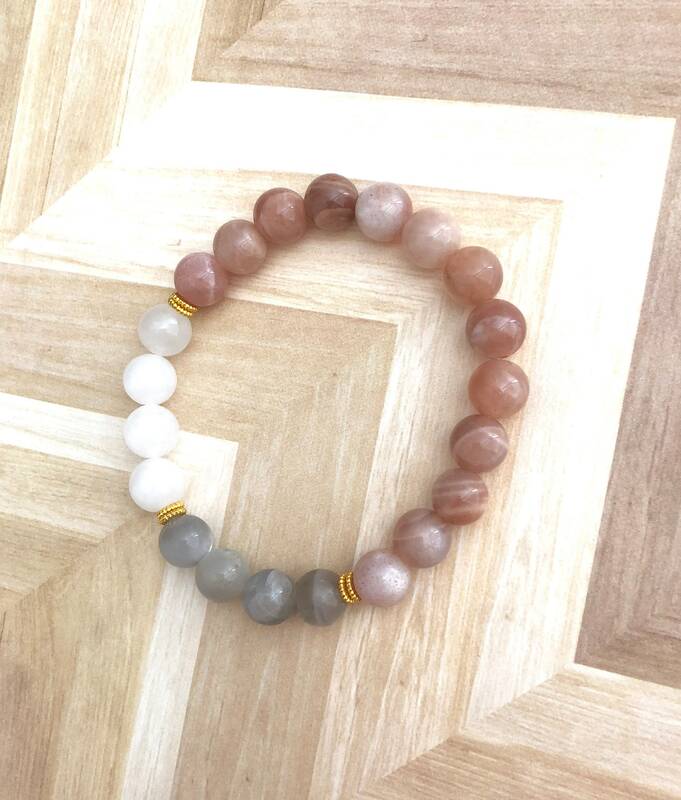 This Moonstone fertility bracelet, with beads in shades of peachy pink and gray, also features white quartz beads, highlighted by gold plated brass spacers beads. 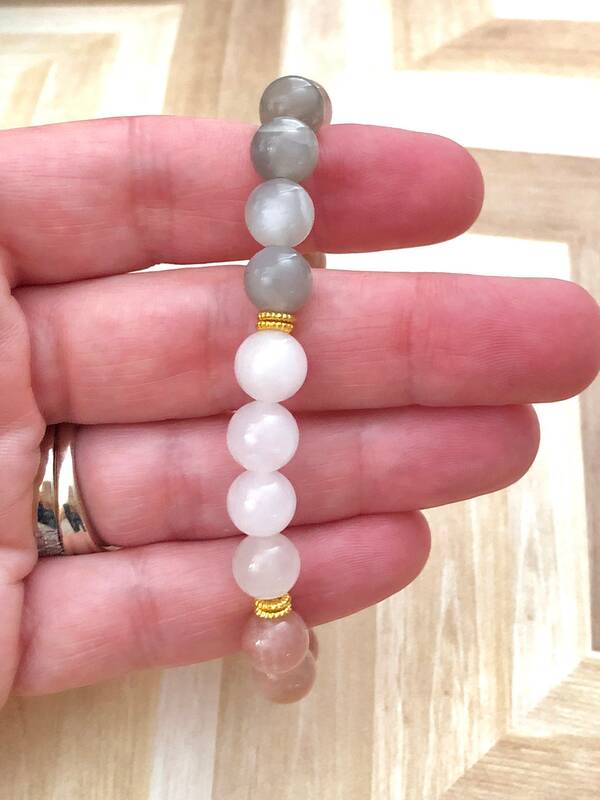 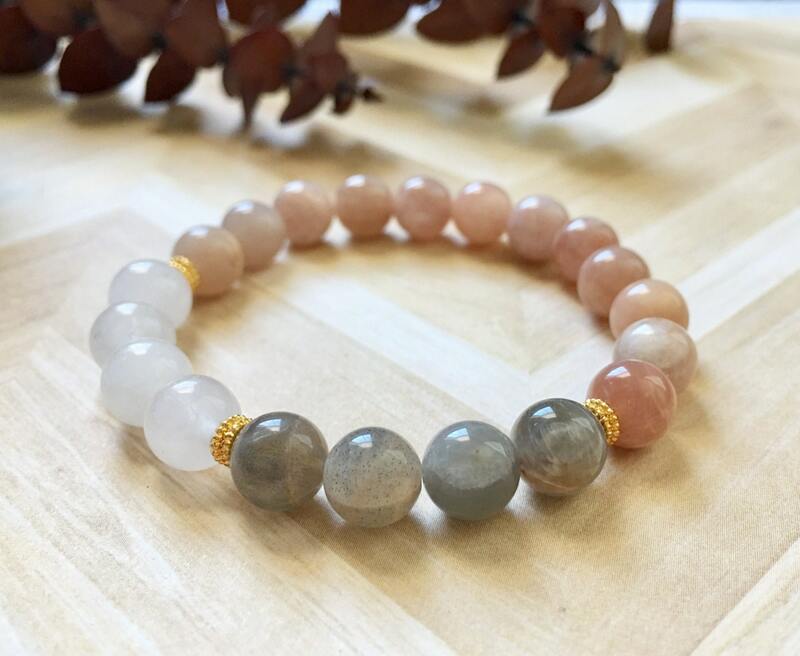 This fabulous healing bracelet will make a unique and memorable gift for your wife, best friend, girlfriend, or sister, who enjoys celebrating her femininity. 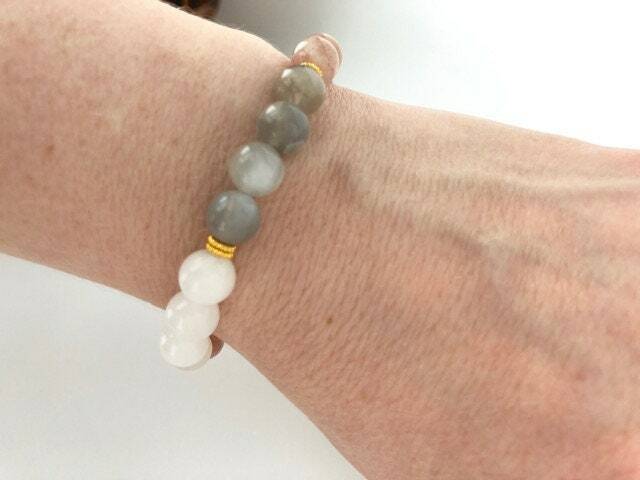 Snow Quartz, or Snow Jade, is said to provide peace, assist in meditation, self-reflection, and boost the immune system.